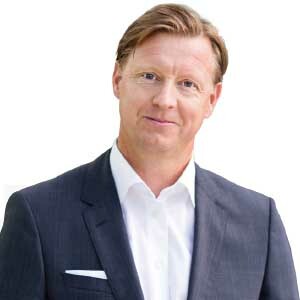 Hans Vestberg, President & CEO In today’s rapidly changing environment of communications technology, Ericsson has garnered a reputation for itself as a world leader in telecom industry that provides equipment, software and services to mobile and fixed network operators all over the globe. Nearly 40 percent of global mobile traffic runs through networks Ericsson has supplied and the company manages networks that serve more than 1 billion subscribers worldwide every day. With a vision to be the “prime driver in an all-communicating world,” the company uses innovation to deliver sustainable business solutions. In an attempt to make “Networked Society” a reality, Ericsson provides industry-leading network equipment and software, as well as services for network and business operations. The company’s portfolio also includes products for the enterprise, cable, mobile platform and power module markets. They provide a comprehensive range of adaptive OSS and BSS s o f t wa r e solutions and services that are based on their extensive experience in the industry, w h i c h includes Assurance, Billing and Revenue Management, Customer Relationship Management, Fulfillment and Plan Build Optimize. “We enable operators to be fast, flexible, and in control to deliver great experiences to their customers, operate efficiently and offer innovative new offerings,” says Hans Vestberg, President and CEO, Ericsson. “People are at the heart of our services business,” says Vestberg. About 57,000 professionals in 180 countries including more than 20,000 employees are outsourced to Ericsson in managed servicescontracts. The company also has Global Network Services Centers and Network Operation Centers, which in combination with their local and regional centers handle more than 900 million subscribers. “With our people, processes and partnerships, we help customers expand their businesses and keep pace with the latest industry developments,” adds Vestberg. Ericsson’s OSS/BSS solutions and services are enabling operators across the globe to realize new opportunities. A Tier 1 Communication Service Provider (CSP) had reduced faults and Mean Time to Repair (MTTR) for a range of new tripleplay services. It needed a unified toolset designed to improve the speed and accuracy of problem diagnosis. Ericsson Experience Manager was used to unify systems data, model individual and composite quality indicators, prioritize service degradations, and simplify monitoring using a dashboard approach. The CSP gained the ability to monitor FTTP, DSL and VoIP service status in real time, monitor more than 190,000 components using 12,000 key indicators. The MTTR was reduced to under an hour and gave the client a processing capacity of 25,000 alarms every 5 minutes. “Technology is at the heart of our business,” says Vestberg. Ericsson engineers, researchers and scientists around the world are working on next generation information and telecommunication technologies. The future would witness Ericsson increasingly penetrating into the world of TV and media. “To us, TV is a premium experience worth paying for, and it’s in the greatest period of change and evolution since TV broadcasts started,” explains Vestberg. The company would also focus on Information and communications technology since it is becoming crucial as a driver of change for people, business, and society as a whole. “Our aim is on seeking new business opportunities and introducing cost-effective solutions, based on evolving trends in the industry. The target is on core areas which provide great opportunities for us and we would continue our path on gradually improving profitability with years of investment in research and development along with market share,” concludes Vestberg. A leading provider of technology and services to the telecommunications industry.